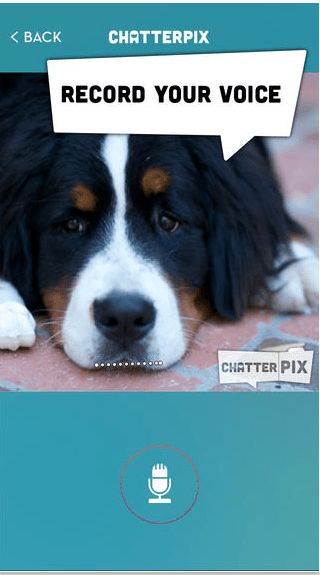 I might love this app more than my toddler does, and Chatterpix is one of my favourite must-have non-essential apps (ie I can do without it, but I really don’t want to). 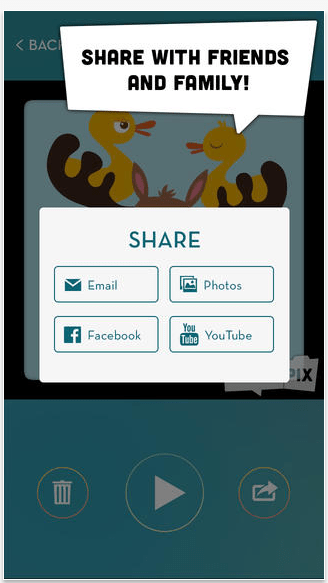 Firstly, this is an app from Duck Duck Moose, the makers of award-winning kids’ educational apps, and there’s a version for adults (with social sharing options) and for kids (without social sharing options). 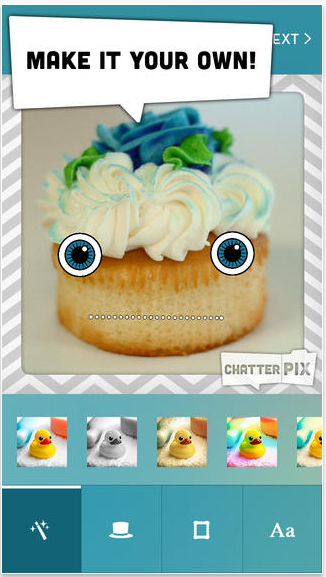 What it does is allow you to add voices and sounds to images. You can either choose from the supplied gallery, or take from own, or take a picture in the app. You then draw a mouth, and record a voice message or sound when prompted. You can record for up to 30 seconds, but you can hit stop when you’re ready. Once you’ve done a voice recording, you can then choose a filter or doodles for the pic. And then you can share (remember if you don’t want the social sharing options, you will need to download the kids version of the app). This app is easy to use, and it takes a few minutes to create a voice pic. Younger kids might need a need a bit of help at first, but it can be a fun parent-child exercise. 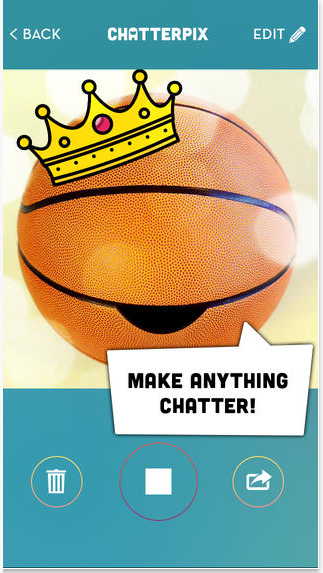 This is not only a fun and free app, but I don’t know (yet) of another app for kids that adds recordings to still images. Thanks, Tanya! Looks very cute!